I was about to graduate from Cosmetology school, eager to start working as a hair stylist, but not before taking a few days off. I'd been working nights and going to school in the mornings for months. One of the salon customers found out I was headed for Texas and asked me to call her daughter while I was there. Back in the seventies, long distance calls were costly while local calls were free. I said sure, so she gave me a business card with her daughter's phone number on it. I tucked it into my pocket and kept on working on her hair. Little did I know, that phone call would change my life. Once I settled in with the family in Texas, I gave the daughter a ring. It turned out, she was an executive in Flight Attendant services, happy to hear news about her mother in Florida. We had a nice phone visit during which I mentioned I always wanted to work as a flight attendant. She said they were currently recruiting for flight attendants and although she wasn't allowed to interview me, she would ask someone to give me a call. She couldn't promise anything. A few hours later, the phone rang at my Mom's house. The call was from Flight Attendant staffing, asking if I was available for an interview the next day. Of course I said yes. That started a flurry of activity looking for an outfit to wear other than my vacation clothes. It was a memorable day shopping with my Mom in downtown Fort Worth. The next day, I borrowed the car and headed to the airport. Weaving my way through the confusing twists and turns of the huge facility, I managed to find the building and a good parking spot. As I headed for the door, I could feel my makeup withering in the sweltering summer heat. During the interview, I was questioned on my work history and the reasons I wanted to be a flight attendant. They asked what would make me a better flight attendant than someone else, what does a flight attendant do along with a barrage of other questions designed to evaluate personality and suitability for the job. Despite my nervousness, I thought the interview went okay. A few hours after I got back home, the phone rang again with an invitation to a group interview. A panel of pilots, senior flight attendants and training instructors would interview several applicants at the same time. If we made it to the finals, we would have individual interviews following the group session. There was an advantage to not being chosen first to answer a question. We learned from the reactions of the panel not to say, "I want to be a flight attendant because I love people." They were sick of hearing that. The challenge was coming up with something original to say after others already answered the same question. When the group session finished, I was chosen for an individual interview after which I resumed my vacation. That's when I got another call. This call changed all my plans going forward. The friendly voice on the phone said I'd been selected to attend Flight Attendant Training starting in one month. When my vacation was over, I flew back to Florida. Until the offer letter arrived with the date to report for training, I could hardly believe this happened. It was like a dream where I didn't want to wake up. Over the next weeks, I finished the remaining hours of beauty school, quit my job at the salon, sold most of my belongings and packed my car for the trip, leaving behind friends and my home state of Florida. Heading up Florida, I stopped in Pensacola where I took my State Board Exam for my Cosmetology license and stayed in town only the one night. My roommate agreed to come with me that far to serve as my hair model. She flew home after the exam was over while I continued the twelve-hundred mile trip to Dallas alone. When I was twenty-one, I had filled in an application with Eastern Airlines, hopeful for an interview. At that time, most airlines didn't accept married applicants and they sent me a letter of rejection. Things changed and I applied again a couple of years later. This time, they sent a round trip ticket to Miami along with an interview date. It took a few weeks before another rejection letter came in the mail. At twenty-five, I applied with Northwest Orient Airlines and was scheduled with an interview in Minneapolis, Minnesota in the middle of winter. They explained that only thirty spots were available for flight attendants and they were reviewing eight hundred applicants. We were rushed through the interview process and told they would let us know. A few weeks afterward, another rejection letter arrived. During the five-week training course, we lived in The Royal Dunfey's Hotel in Dallas in shared rooms. After breakfast each morning, we were bused to the training facility on Lemon Avenue where we listened to lectures, practiced emergency drills and CPR. We learned the different codes used between the cockpit and crew and trained making announcements. 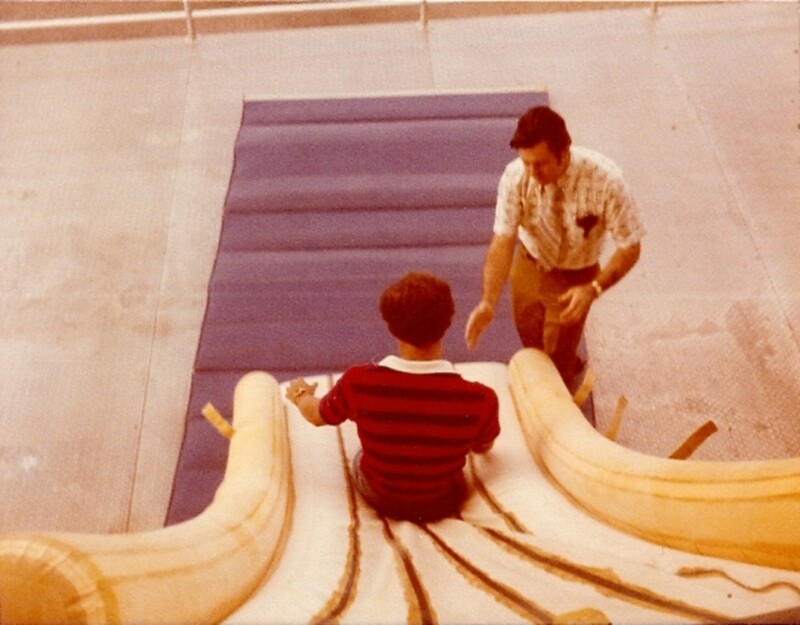 We jumped out of second story windows onto scorching hot evacuation slides, practiced using fire extinguishers on real fires and fumbled our way through dark airplanes locating safety equipment. We trained to open window hatches and the door of a 747 five stories above the ground. "Again!" the emergency procedures instructor would yell as we practiced pulling the emergency hatch off the mock up airplane. "Now toss that hatch on the seat and move those passengers along." We spent hours practicing airline announcements, reading them from our manuals as required by the FAA. We worked in galley mock-ups learning how to use convection ovens and coffee makers. We served seven-course dinners on real dishes and glassware. We trained for a week on bartending skills learning cocktails and how to serve wine and make Cappuccino. 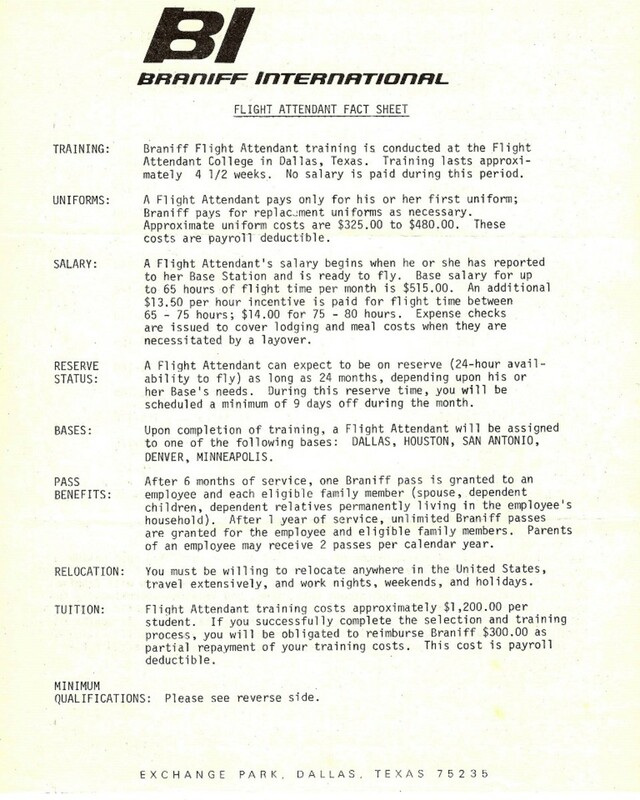 At night we studied our training manuals and memorized configurations for the fleet of Braniff jets. We formed groups and quizzed each other on airport codes and their abbreviations. We practiced and role played for hours, but it was nothing like serving on board a flight with real passengers. Our travel assignments were based on seniority or the length of time we had with the airline. Each month we bid on different schedules that were available. Some flight attendants had fifteen years or more with the company. The schedules with only five trips to Hawaii during the month usually went to them. Newbies like us had little seniority and usually won a schedule flying as a reserve. This type of schedule had nine specified days off during the month with the rest of the time serving on twenty-four hour call. The scheduling department could assign us a trip with as little as a one hour notice to fill in for absent employees or those delayed by mechanical difficulties on a previous flight. We had to be ready to fly out at a moment's notice and kept a packed suitcase handy. Despite the unusual hours, the waiting by the phone, the meal service on back-to-back commuter flights and the rigors of standing hours at a time, the job was a lot of fun. I'll always remember those days as some of the best of my life. Did you ever fly aboard Braniff International Airways? 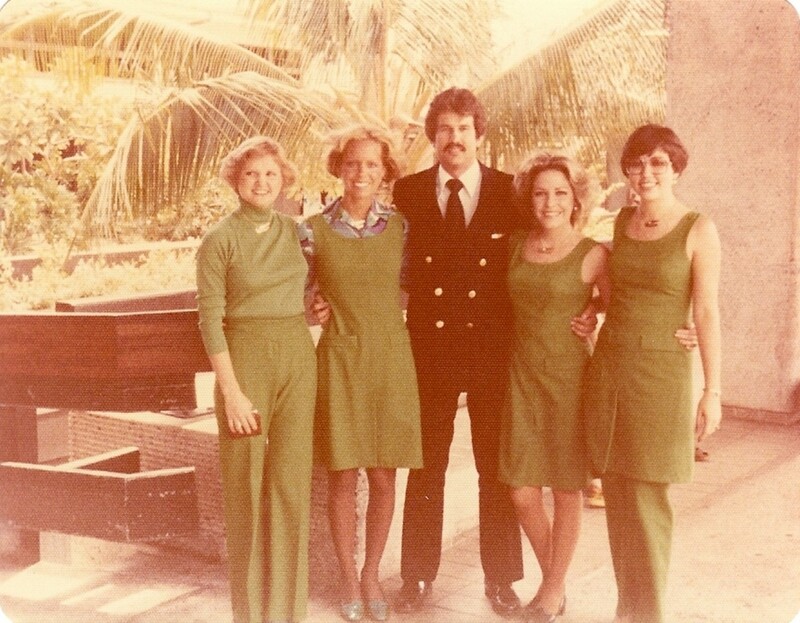 Thanks for sharing your experience with Braniff, Rob. Yes, that daily flight to Hawaii was something that we could count on. Nice that you got to sit in the cockpit. What a great memory that shaped your future. Hi! As a young boy living in Fort Worth, I used to look to the sky at approximately 1-1:15 pm and usually saw flight 501 roaring toward Honolulu. 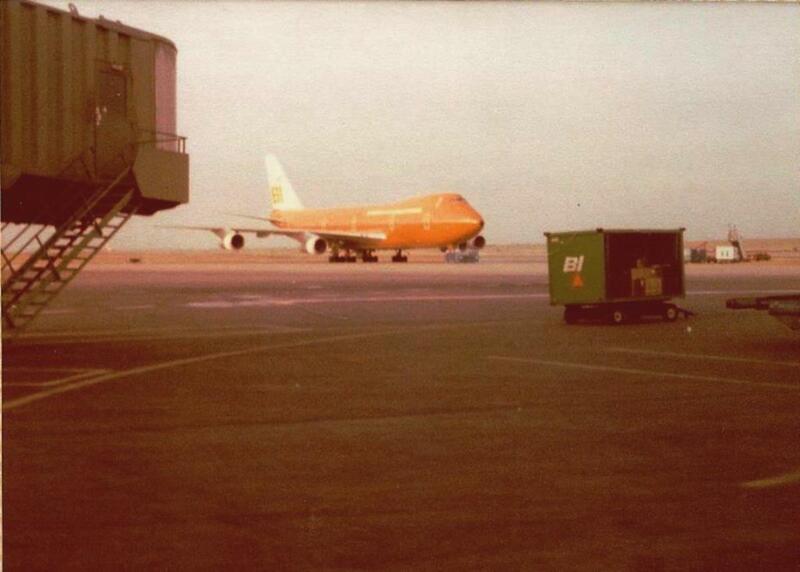 Being the only 747 that Braniff had, I knew it was going to Hawaii. I later flew N601BN to HNL where I was able to sit in the cockpit after landing. Braniff was my favorite airline with it’s unique style and vision. I later worked for American Airlines and retired after 911. 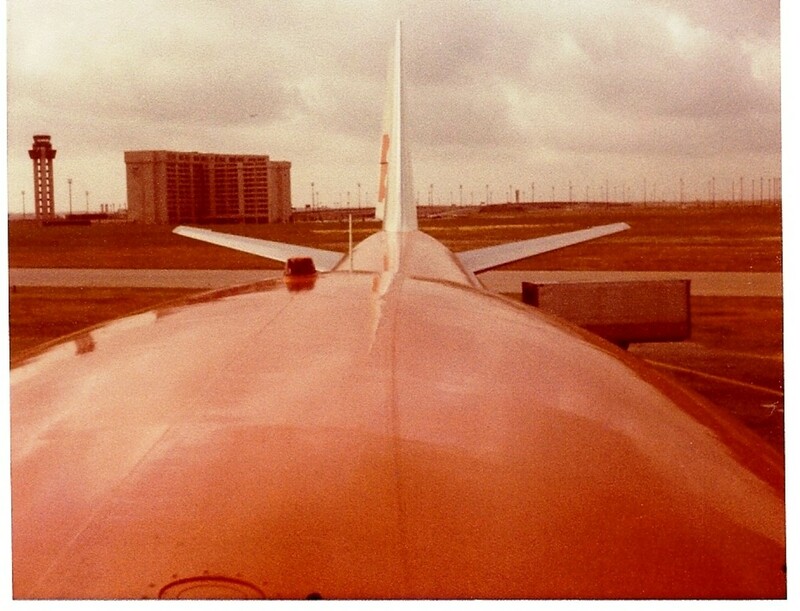 Braniff has a special place in my heart. Hi Larry, Glad you found the article interesting. Your time and work on aircraft sounds interesting, too, along with your travels and service. Thank you for your service. Hope you can share some of your adventures in the air as well as your experience in the Air Force. Thanks for the nice comment and for the visit. That is a great story, Peg. Yes, sometimes you just have to be at the right place at the right time. It does sound like rigorous training to be a flight attendant. I am sure that you enjoyed your time in the air. I was in the Air Force stationed at Clark AFB in the Philippines. I was a flight mechanic and got to fly to many places in the Philippines, to Taiwan, to Okinawa, and a short trip to Vietnam. I was a flight mechanic on C-47 aircraft the military version of the DC-3. Peg, it may be before my mobile lifestyle. You're not much older than I am. For 40 years I just flew inside my own country so I was ignorant of any international flights. Hi Mary, Nice of you to drop by. I imagine that Braniff may have been before your time. They closed up in the early eighties after decades of service. I only flew with them for a short time, much to my regret. I don't know about Braniff but your story is very interesting. I am sure you had a very exciting life. Yes, the much can be joked about the spoke and hub system. Though Braniff did get a SAT to London flight. I still remember their radio commercial. A bunch of guys with British accents saying the commercial in cadence. That's a good one, Robert. Sort of like flying Delta. You can't go anywhere without a stopover in Atlanta. This was a fun article to read. I love the video. 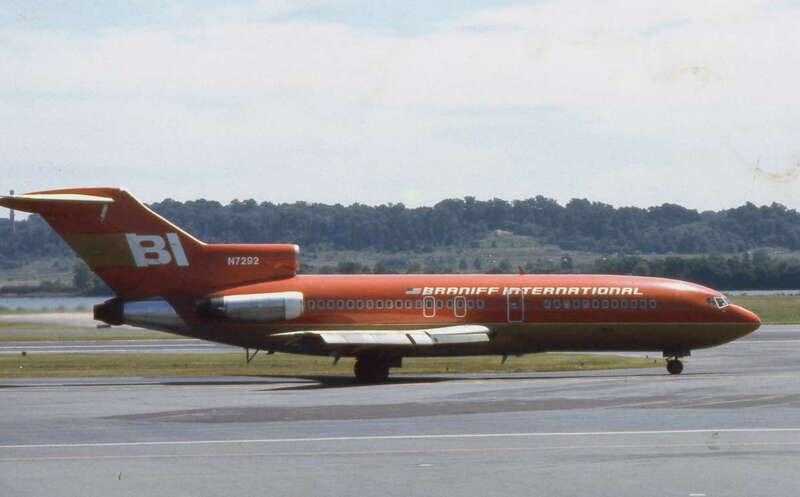 I flew on a Braniff 727 a couple of times to and from San Antonio in the late 70s. The saying at the time was if you died in San Antonio before you went to Heaven or Hell you had to stop off at Dallas or Houston. Hi Jackie, Thank you for the return visit. I see I read this 3 years ago but great to read it again. I would have loved to have done this. Can only imagine the great fun it was! Hello Audrey, Thanks so much for sharing this information with your granddaughter. Much of it may be outdated in today's technology driven world but some of the same things still go on in the sky these days, too. I wish her all the best if she pursues this career. Hello Kari, Interesting observation about the cost of the uniforms. And considering that this was over forty years ago it was quite a lot. We didn't have to pay for our room and board during training but we didn't get paid during those weeks either. Loved the job and the opportunity to travel as well as the people I met. Still miss it and remain part of a Facebook group that posts memories about our experiences. Nice of you to come by and thanks for the thought provoking questions. Hi Bill, I'm glad I had the opportunity to do this when I was still young. It was truly a great experience that shaped much of my life afterward. Thank you so much for coming by to comment. I'm back again. Sharing this with my granddaughter. She's looking for a career and I think this is right up her line. Thanks for this super information. It seems expensive to become a flight attendant. $325-$480 per uniform is outrageous. No pay during training, did you have to pay for the room also? It does sound like a fun job though. Are the requirements for training and uniforms still the same? I always thought that would be an exciting job for a young person who wants to travel. 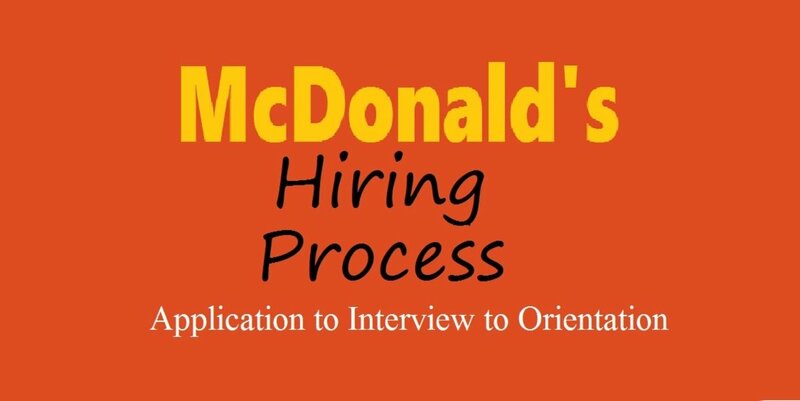 It was interesting reading about the hiring process. Thanks for sharing it with us. Hello dear Snakeslane, What a nice surprise to see your comment today. We are in the north part of the state and pretty far from the coast. Hoping that the hurricane fizzles out before it gets too far up into the land mass and praying that those in its path stay safe. Miss you and thank you for thinking of me. Hope you are well. Hello Peg, I just sent this same message to Nellieanna, Hoping you are safe as Hurricane Harvey hits Texas! Been worrying about you. Thank you for stopping by, Vespawoolf. I'm glad you shared about wanting this career for yourself. It was truly a great experience. I've also always wanted to be a flight attendant. I didn't realize it was such a challenge to get a regular schedule. What an exciting and abrupt change in career path! I enjoyed reading your experience. Thanks for sharing the experience with me, Mekenzie. I appreciate your comments. Thanks, Audrey! I appreciate your return visit and sharing this article. Cheers. Hi Peg - I came back to read this again. It's written so well - one of those hubs you just can't get enough of. Sharing once more. Hi Claudiacrawford19, Thanks for coming by. No, I did not know the man you've mentioned who worked for Northwest Orient. 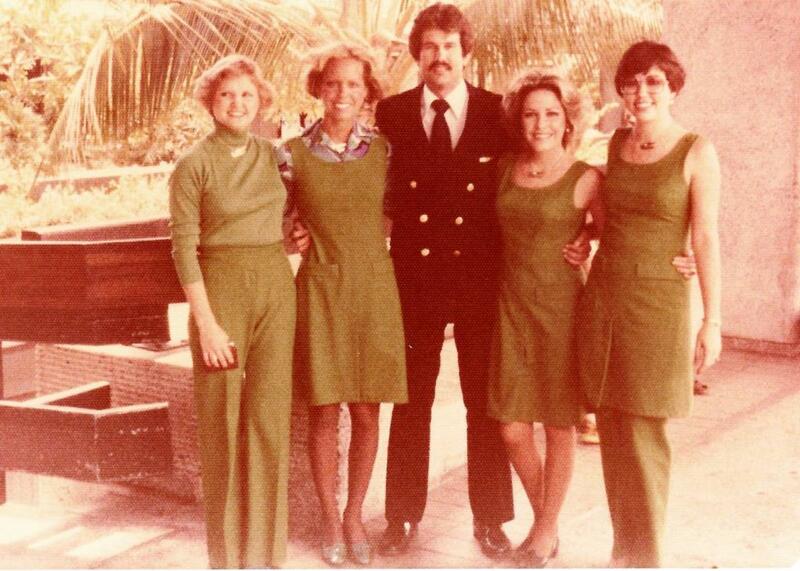 There were so many hundreds of flight attendants and pilots at Braniff that I never met as well. So sorry I can't help you on this. Sorry. His first name is Vernon and I can't recall his last name, it's been 35 years. Thanks for your help, if possible. 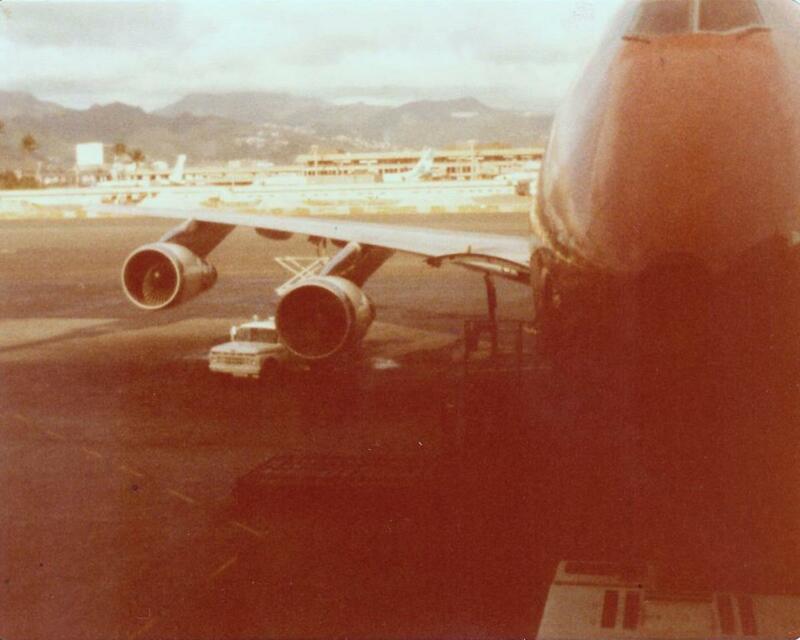 Did you know a First Officer that flew for Northwest Orient during the 1979 and 1980's name? The reason I'm asking this question, I house sit and clean his house when I was college in Seattle. I believe his last name was German. He spoke fluent German and help me pass my German class with a B. Which was a good grade for me. My name's Genna and I work for Medavia, a media company based in Bristol, UK. I am looking to write an article that is kind of a behind-the-scenes look at the life of a flight attendant- I was wondering whether you might be willing to share your story with us? We do supply a fee for stories we publish so there is the potential for you to make a bit of money whilst sharing your experiences of this line of work. I'd so love to hear your story! So true, Poetryman. This was my dream job. I loved flying. For some folks getting paid to travel is their dream job! Hi Richard1988. Thank you for the incredible comment. I really appreciate you dropping in to share these flight attendant memories with me. Hope to see you in the friendly skies soon. Hello Heidithorne. Yes, it was a dream of mine for many years before I got the opportunity to fly. I'm glad I gave it a try although I didn't stay a long time. Perhaps I should have but health issues got in the way. Thanks for the visit, the votes and the interesting comment. Nice trip to the way back! I have a friend who, like you, always dreamed of being a "stewardess" (aka flight attendant). So she made that her 2nd career. Still doing it! I don't know how you ladies do/did it. But I understand the appeal of it. Voted up and interesting! Hello Dghbrh, Thank you for the wonderful comment. And for the precious words. I really appreciate your sent blessings, votes and share. Hi Jackie Lynnley, Thanks for the visit. It always makes me take a fresh look at these old photos to relive the memories. I appreciate you coming by and thanks for sharing this story. 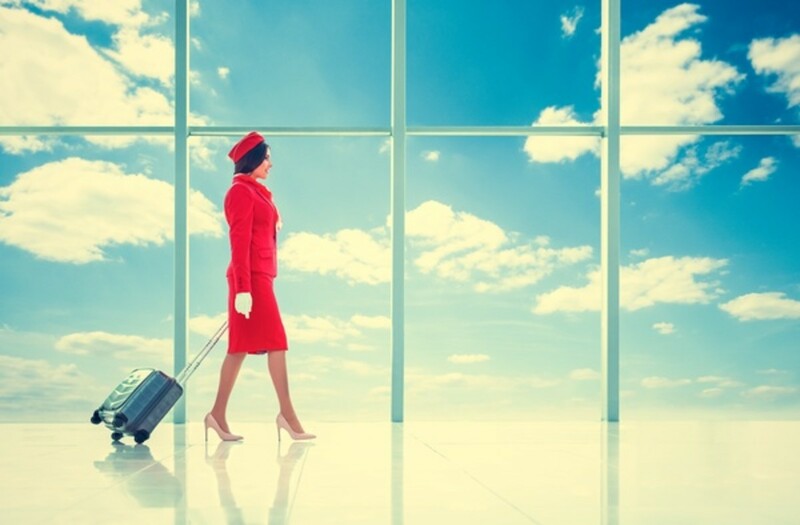 Very wonderful read...Thanks for sharing your wonderful experience here...i love to travel a lot and so on flights i do see the flight attendants and often end up wondering how their life is actually. Its nice to see your dreams to come true its precious actually. God bless...votes up and shared as well. This was so interesting; sorry I missed it for so long. I know how exciting it must have been or can imagine! Thanks so much for sharing that. I will share it too. Hi Pawpawwrites, Thank you so much. I love your name as it evokes such wonderful memories from my childhood. That was the name we called my Dad's father. Hi SusanDeppner, Wow. It is hard to believe it's been so long ago and so many careers past for me. Thank you for stopping in to read this walk back in time and for the delightful comment. Yes, even in wool. That was always a bizarre part of it here in Texas, in particular. Loved the photos of your career. Hi MartieG, I'll imagine you have some fantastic stories to tell about your time with the airlines. We were also trained to treat the passengers as guests with us being the hostess or hosts. It was a time where we served second coffees and Cappucino, offered playing cards free and toys to children along with full course meals. So different than it is today. Reading this took me back to my youth and the romantic way air travel was portrayed back then. Glad you were able to live some of those adventures in person (even in wool!). Hello DealForALiving, Your comment this morning when I opened my HubPages account was truly uplifting. Thanks so much for the kind words and visit. Hello Favored, It's nice to meet you here. Your outcome is not the usual result of getting on the scale, that's for sure. When graduation day came close, we had to weigh in. Had I not lost three pounds in as many days, I was not eligible to graduate. I just barely made it. I really appreciate your kind comments and visit today. Thank you. Thank you for the insightful hub. You have such great storytelling skills and the pictures are fantastic too. I loved reading your story. It made me think back on the time when I applied to be a flight attendant. All was a go until I got on a scale ... I didn't weigh enough. That was then :) What a terrific article. I'm so glad your dream came true. Hello Colorfulone, Thank you so much for visiting this article and for leaving such a nice comment. Some people are truly fearful of flying, but not me. I feel safer in the air than on the highway. I always thought being a fight attendant was kind of a glamorous career to get into, but only for others. Not that I would have ever made it off the ground, being such a land lover. One flight under my belt from was when I was a little girl, and that was enough for me. This is really some very excellent writing. Thanks for the visit, Patricia. I would love to read your account of the experience and compare it to my rose-colored memories. Hahah. Glad to hear that you finished your degree - so did I, eventually. It only took about 2 decades. Oh well. Perserverance and onward. Nice to see you today. I worked as a flight attendant too. I hated it though and quit my permanent contract in the middle of recession (yes, I am crazy) to take a degree in Nutrition. I don't regret it one bit although I'm broke. Brakel2, thank you so much for the comment about the photos. They look old timey now and yet, to me, they seem like they were taken yesterday. We had many good instructors in training class and I learned things that still carry forward as useful. I feel very fortunate to have had the experience. It's nice to meet you too. Thanks for pinning! Cheers. Hi Jenn-Anne. Thanks for dropping in and for the read. You know, it did take a long time but thankfully it eventually came to be. Nice to see you today. Hello Vocalcoach. I really appreciate your return visit. It gave me inspiration to read over the text again and find some areas that needed sprucing up. Thanks so much for the encouragement, the great comment and the share. Great hub! Glad you were persistent in following your dream! Thanks for sharing! I came back for another visit. These photos alone are worth a hub award. I love reading your story again. Fantastic job dear Peg! Up +++ and sharing. Hi Stephanie. I appreciate you stopping by and sharing that you also dreamed of being a flight attendant at one time. It truly was considered a glamour job, but you're right, it was a lot more work than we ever realized. Thanks for reading and for the great comment. This was such a great read, Peg! 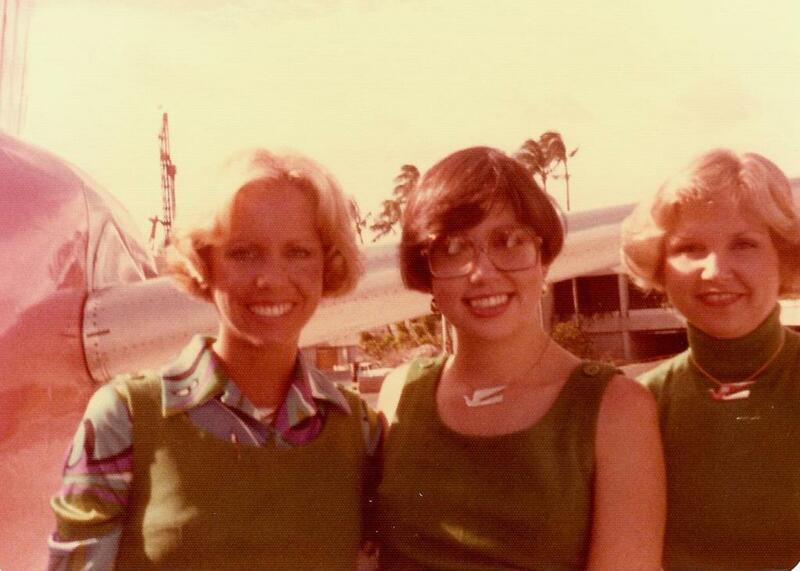 I think almost every teen I knew dreamed of being a flight attendant at one time or another. I know I did. Maybe it was a lot harder work and less glamorous than we thought, but what a great experience it must have been for you at that time of your life. Thanks for sharing your story.! Wow, thank you for your quick response :) I had a nice chat with my older brother about this opportunity and I found some answers I have been looking for :) I will let you know in couple of week what i decide. I bookmarked your page and will definitely let you know when I decide. Hello P. Rudy, Congratulations on receiving an offer from a major International Airline. That is quite an accomplishment. I know you will make the right decision once you carefully consider the possibilities. You wouldn't have applied for the position if you hadn't wanted to be a flight steward. I hope you'll come back to let me know what you decide. Wow, this was an amazing read. 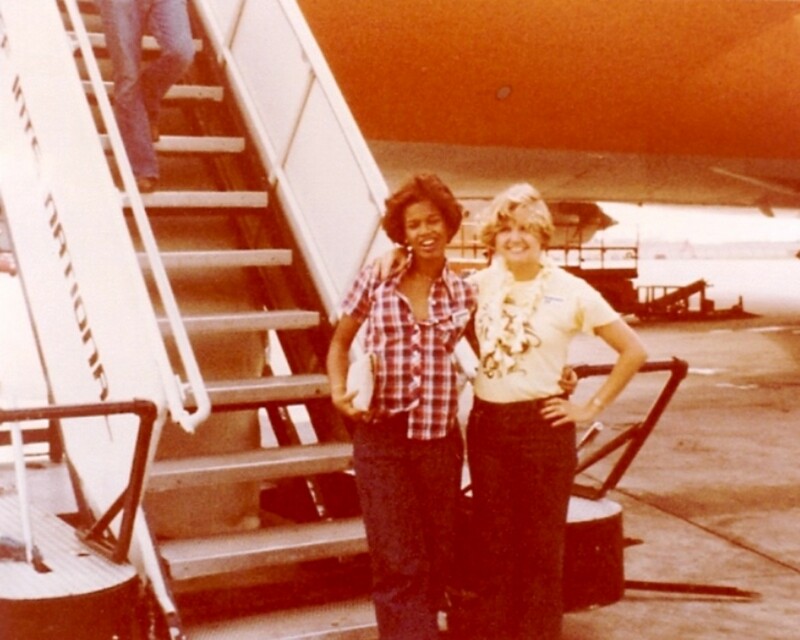 I am glad I found your story of being a flight attendant and the experiences you went through. I am about to be 27 in March. I finished both undergrad and grad schools in the USA and worked in a corporate world for couple of years. Recently I received an offer from a major International Airline to work as a flight steward. I accepted the contract. Now I have 3 weeks to decide whether to quit the job I recently got with one software company or to go for something completely different and new. Life is about living isn't it? I like to travel and I think this is my perfect chance to do so. It would be a chance to see something new, meet new people, but also go through some tough customer experience on this job :) I know it is not an easy job, but I am ready for it. 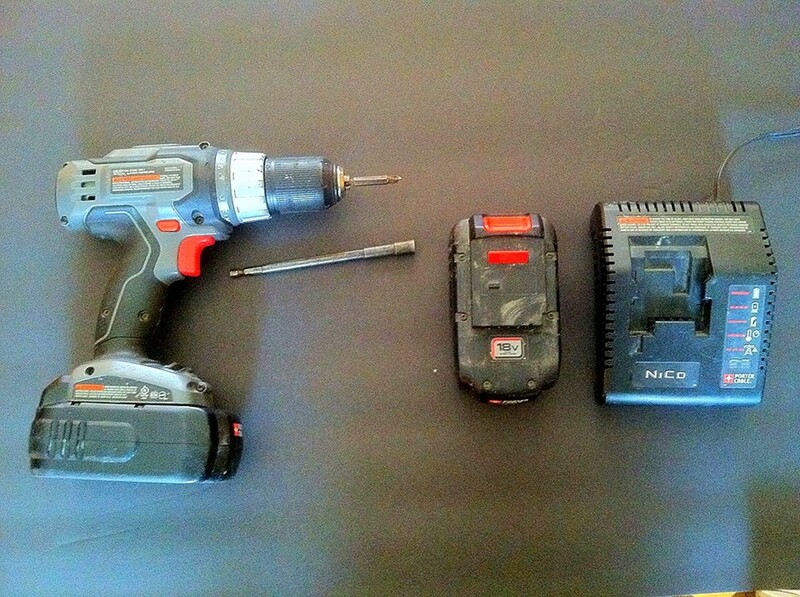 Any job has tough moments, just like this one. The only thing I worry about is if it is smart for me to try this job at the age of 27? I mean I am not planning to make it my career but just to travel the World and do something I always wanted to do, see different places and who knows what else this job can bring. I am thinking it wouldn't hurt me that much to give it a shot? I would appreciate if you can give me your advise and what you think? I know I will make a decision in the end, but I think you can give me an honest advise and answer. Thank you so much! Hi Nadine. I'll bet your daughter has some great stories to share about her experiences in seeking employment and from her travels. I appreciate you taking the time to drop in and spend a few moments here. Thanks so much. It is nice to meet you. What a great read. It so reminded me of my daughter and her journey to become a flight attendant for united airlines . Her last flight was after 911 when they had to let a lot of stuwardesses go unless they were prepared to fly back to back as i understood at the time. She was pregnant so that was her reasons for quitting. I loved the photos. They didn't accept "married applicants"- wow, what a sign of the times! Hello Purple Perl. Thank you for dropping in to read this story and for taking time to leave a nice comment. All the best your way. Wonderful experience! Thanks for sharing! Yes, sometimes just one phone call can do the trick! Hello Harlan, I think I flew more miles on business travel than I did with the airlines. It is quite a show if you just sit back and watch things unfold. Nice of you to stop in here today. Cheers. Thanks, Peg and I appreciate! I added you as well! Hi Misterhollywood. I'm in the process of reading your story on the link you provided here. Thank you very much for stopping in. If you don't mind, I may add your link into the text of the article. I look forward to reading your hubs. Hi Beau, Captain for PanAm, wow. I bet you have some great stories about your travel days, too. Thanks for the encouraging words here on this trip down memory lane. I'll have to come up with some of the highlights of those days and write about them. Perhaps this is the year for it. I hope your holiday was special and filled with friends, food and fun. Wonderful life story! I really enjoyed reading about your experiences as a flight attendant, especially what it took to get the job. Talk about perseverance. Wow! And, the photos were perfect; it really enhanced my ability to image what life was like - colors, clothing, planes...everything. Voted up! I enjoyed reading your story very much!! Sounds like you had an amazing career - with lots of stories to tell. I am glad you shared some of your experiences here. Really enjoyed reading about your exciting career. My father was a Capt. for PanAm and naturally, I got to fly quiet a bit. Have had some great friends who flew for TTA, Tex Int'l and Continental. Thanks for sharing some of your career highlights. Hi Rebeccamealey. It was such a short time really. I did enjoy many of the longer layovers and always tried to get out and see the places if time permitted. I have a lot of fond memories of Omaha and some old time stores in their downtown square. Hi Jane. Dallas Stew - cool! I remember those apartments next door to the Royal Coach (Roach) Inn. I tried running around that parking lot to lose some weight the last few days of training. Too many free buffet meals. Anyhow - nice to see you here. Central and American? Wow. That sounds like an exciting career. Did you get to enjoy the different locales?. Enjoyed reading this. I was a Stew in Dallas '65-68. Actually I lived in those apts next door to the hotel where you were in training. I flew for both Central and American. Those were the days! Wonderful memories. Love Field was an exciting place on the day! Thank you for dropping in here, JPSO138. It's nice to see you. Yes, you are right about being a sought after profession back in the day. Travel the world - work your way around the world. But now. I'm not sure with all the changes in the ways we travel. Thanks for the share pegcole, it was really interesting. When I was in high school most of my female classmates dream is to become a flight attendant. Some of them make it though. It was one of those sought after profession. Great hub! Nice of you to visit this article, Cassidydt. Thank you for the great comment and all the best in your quest for travel. There are many ways in which to see the world. Good luck. Love the article and the old style photo's :) It did once cross my mind to become a flight attendant, but now I don't think its for me. Apart from the continuing urge to travel that is haha. I am now 19 and have been traveling since I was 17, I have defiantly caught the bug ! In the sixties and seventies, I think every girl dreamed of being an air hostess! Travel was so expensive then, so doing it as a job seemed to be the only way to do it. Hi Crystal. Thank you. I once thought it was a glamorous profession before I actually worked the job. And BTW, this was a few decades ago. Oh, boy. It is redundant and tiring but also very exciting at times. Nice of you to come by and leave a comment. I really enjoyed this. 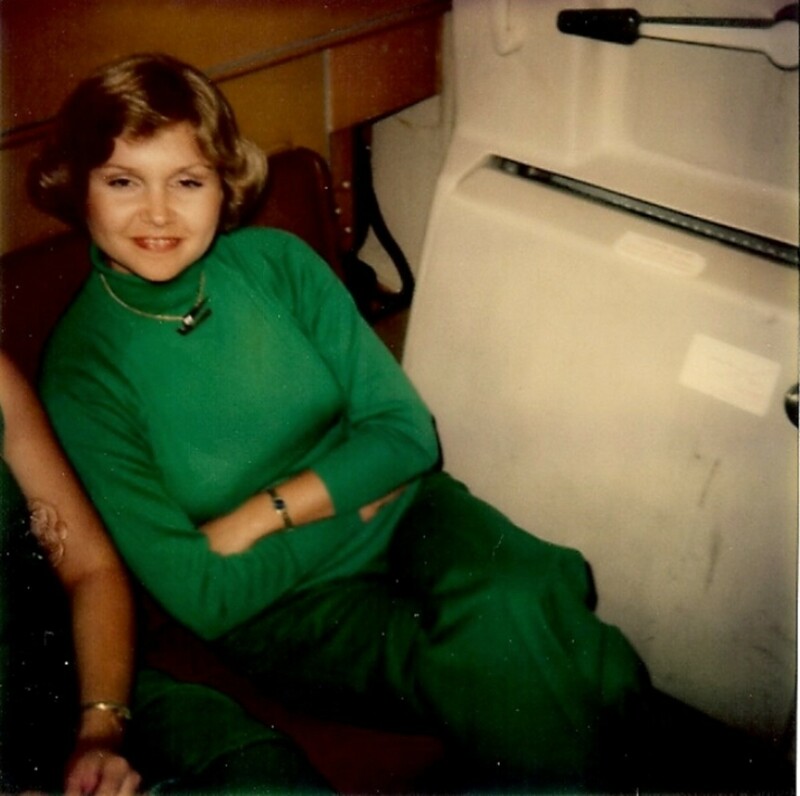 Being a flight attendant always seemed a glamorous profession, especially a few decades ago. I'm sure it's very grueling and tiring work too. Congrats on getting to live your dream! Hello FlourishAnyway! Happy accidents is a good way to describe it. We never know who we may be talking to when me meet a stranger. Yes, the "smoking section" - as if the smoke didn't travel into the vents. Hahah. Thanks for the nice comment and the visit. What a nice look back! Some of the best opportunities in life happen just the way you describe them -- happy accidents (chance conversations with strangers, etc.) Gosh, I recall when people used to smoke on airplanes, too!